Scripts can be a key part of any campaign. A script is a predefined page that will pop up every time a call is connected prompting the agent to say the correct thing at the correct time. Scripts can be simple with all information on one page or you can move page to page based on the lead's responses. From the Dashboard, click on CRM and select Scripts from the drop down. Click on Create New Script button. Type the name for the script in Script Name, Click the Active/Inactive button to Activate the Script, and click on Save. After you create the Script, you can now EDIT the script. Modifying the contents of the Script Pages. Right-Click Element or the Page of the Script and select Edit from the drop down. A huge window will appear almost the size of the browser. On the Text Editor tab, type the name of the script in Script Page Name Field. Enter the body of the script in Body of the Script Field, then click Apply button. 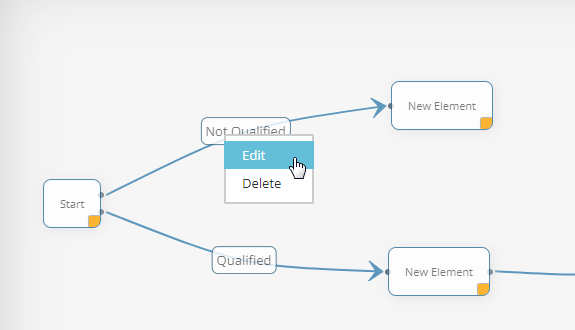 By clicking the Apply button on script node it will automatically save the whole script even if the user forgot to click the Save button on the Script page thus preventing the loss of the changes already made on the script. If you have highlighted questions, you can use Common Question tab to enter the questions that your agent can ask to their clients. 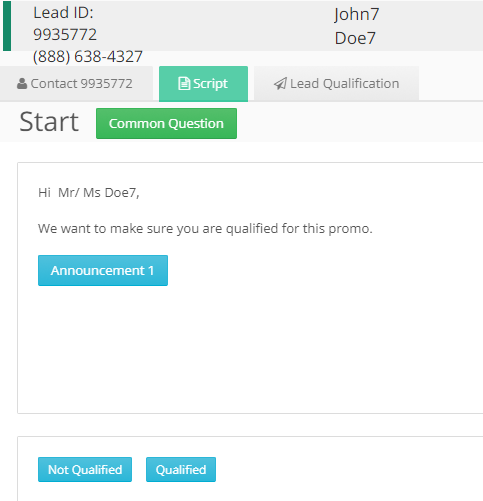 If you want to Auto Populate the script with the information of the lead you can use the Insert Fields Section. Point your mouse to the section where you want to insert the field that contains the Lead Information, In this example, we will add First name Field in the Body of the email. 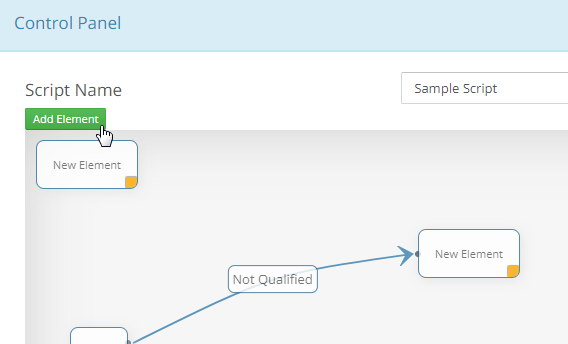 Click on Fields Selection, and select the field from the drop down. In this example, we’ll select Last Name. Click on Insert Text button then click on Apply button. In this example, we added "Last Name" in the body of the Script. If needed, Announcements can also be added to the Script. Click on Available Announcements and select the Announcement from the drop down. Click on Insert and it will add the announcement in the body. Right-click Label of the connector and select Edit from the drop down. Another window will appear. Type the name you want in Label Field and click on Apply button. You can also see the Connection Source and Connection Target, which are the pages of the script this Label is connecting. If you need more pages on your scripts, click on Add Elements button. New Element or Script page will appear. Modify the contents of this scripts page. You can drag this new Element / Script Page anywhere in this section. To link the new Element / Script Page to the existing ones, you need to click and hold the yellow corner of the Source Element and drag it to the Target Element. After you finish editing the script, you can Play it or Preview script, Cancel the changes, or Save the changes. If you Play or Preview the script, another window will appear. You will see the Element/ Script Page Name, Body of the Script, and. Links to other Element/ Script Pages. Just click on Finish button to exit the window. Assign the Script to the Campaign. In Campaign Settings, click on Advanced Configurations Tab and select Additional Configuration from the drop down. Scroll down to Script & Web Forms section and configure these settings based on your preference. This is a sample of script agent will see.